Living laboratory for the fortification of the city’s innovation and creativity ecosystem. In 2016, the Porto Innovation Hub (PIH) “Innovation in the transformation of the city”, was intended to involve citizens and other relevant actors of the city to participate in different activities and share their ideas in the open conversations that are based on four main themes: Design the city (accessibility + architecture and urbanism + networks), Approaching the sustainable (energy + waste) and Transform the economy (employment, entrepreneurship and support structures). Together with planning committee, PIH developed an agenda of events open to the city, where 3 exhibitions were organized – City Park; Sea of Innovation and Transform the Economy, as well as the aggregation of about 300 ideas and proposals for a continuous transformation of the city in multiple areas. Every stories begin in a time, space and society. You can’t talk about innovation without starting here: the society, by what is need to live in society. Why? Because innovation is always an answer to the needs/problems of someone and these needs are always result of a specific time and a particular society. These needs can occur to the more varied levels, like for example culture, education and formation, social cohesion or well-being. Let’s meet some of the examples of the innovation that transformed Porto in these areas. If by one hand the city is made by its society, by the other, there is no city without certain material parameters. If by one hand there must exist knowledge, culture, education, social cohesion or health, by the other, searching for social well-being is dependent on the very concrete aspects like accessibilities, architecture and urbanism, and the most varied types of networks. Fertile soil for innovation! In recent years we have seen a tendency to think and design cities according to sustainability assumptions, to reduce their ecological footprint and to improve the living conditions of the people who live in them. Yet the “sustainable city” is an ideal. It will not be so much a crystal truth, but a reference to which we want to get as close as possible. Innovation plays a very important role in this effort to approach sustainable development in a wide range of areas (energy, waste, air quality, urban form, built …) and in fact, in recent years we have seen an increasing number of responses to this challenge. Finally, one of the basic conditions for quality of life in cities is employment. Today we have been hearing a lot about new forms of employment, entrepreneurship and support structures for both – real forces of urban development that stimulate economic and social fabrics, job markets, culture and city projection. We find here the notion of city as a living laboratory.  Here in Porto there is, in fact, a change taking place in these fields – Porto affirms itself today as an aggregator of innovation and entrepreneurship and has been witnessing a surprising transformation of its business profile. Porto has been conducive to the creation of innovative companies with high capacity for employability and talent capture. All this has, in turn, a great transformation potential of the city. The discussed content was gathered in a book with Portuguese and English versions that has been widely distributed – “The innovation in the transformation of the city”. This report synthesizes the 25 public debates about the theme “The Innovation in the Transformation of the City”, promoted by the Municipality of Porto between December of 2016 and February of 2017 in Porto Innovation Hub.